Ahead of International Holocaust Remembrance Day on January 27, the World Jewish Congress (WJC) has launched a global campaign encouraging millions of people to speak out on social media, to raise awareness about the Holocaust. The campaign calls on people in every country to hold up a sign with the words “We Remember,” and post it to social media with the hashtag #WeRemember. The campaign took off on Monday, January 9, and has already garnered thousands of positive responses. Thousands of supporters have already joined the campaign, uploading photos of themselves to social media with “We Remember signs” in dozens of languages. 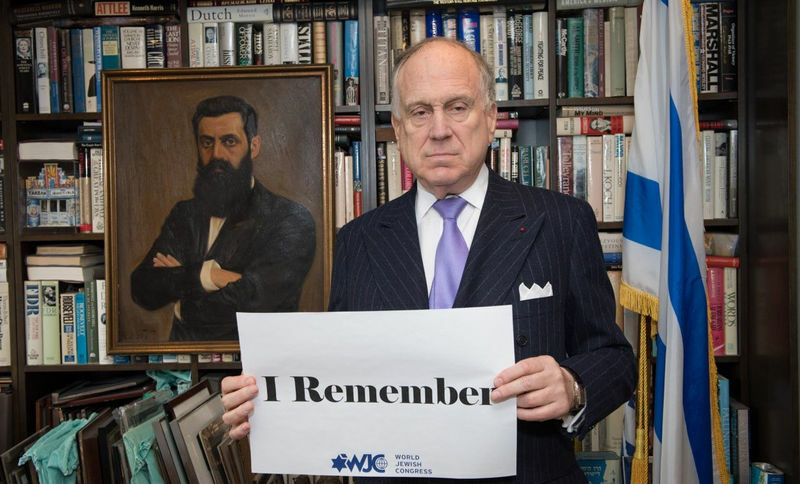 Campaign participants are encouraged to post the photographs directly to their Facebook, Twitter, or Instagram accounts, along with the hashtag #WeRemember, or emai to weremember@wjc.org. All of the uploaded photos can be seen here: https://tagboard.com/weremember/338063.